The expression "less is more" has a profound meaning when it comes to skin care. Many people think that the answer to beautiful skin is multiple product usage with many different steps. The Cor Silver approach is much simpler. The idea behind this unique brand is that many different goals can be fulfilled with just one single step. The hero product from Cor Silver is the unique soap which contains active ingredients that are capable of penetrating deep within the layers of the skin in order to deliver beneficial actives that help combat various issues while restoring health and vitality to the skin. Silver has long been known as a natural antibacterial agent. The particles of silver are microscopic and capable of reaching areas of the skin that are not accessible to many larger molecules. The antiseptic properties make for a Cor Silver Soap acne aid and can help with the management of blemish prone skin. The active ingredients in Cor Silver products also include sericin, collagen and chitosan which help relieve some of the symptoms associated with aging skin. 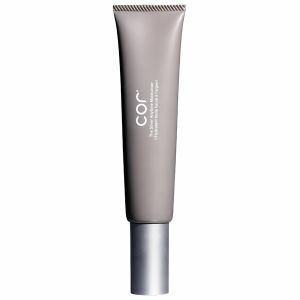 The products restore moisture, smooth wrinkles, increase firmness and promote an even skin tone with radiance and clarity. Elegant simplicity and cut-to-the-chase precision: These are some of the guiding principles of the sleek, uncomplicated, and straightforward Cor Silver brand. The products crafted by this company draw their power from the natural world and tackle the thorniest dermatological headaches at a molecular level. The skin-boosting action of nano-silver is one of the brand's foundations. The element's innate antibacterial and cell-stimulating properties are made all the more focused and efficient by the addition of silica, which delivers the active ingredients in an incomparably fast-acting and penetrating package that nourishes, hydrates, and promotes healthy skin. You won't find superfluous contents in a Cor Silver ingredient list: razor focus is the name of the game here. Among the brand's other go-to agents are botanical extracts such as avocado and jojoba, packed with antioxidants, vitamins, and other nutrients vital to your skin's tone, texture, and regenerative capabilities. Collagen, sericin, and chitosan compose Cor Silver's unique Japanese CSC Compound, which assists, among other things, in reducing the visibility of such common aging symptoms as creases, wrinkles, sagging folds, and dry skin. Whatever your complexion and whatever the specific cosmetic and dermatological issues you're seeking relief from; the fine-tuned and naturally sourced Cor Silver approach has something for you. Say goodbye to complicated skincare formulations, and embrace the lean efficiency of Cor Silver. From its all-in-one soap to its eye creams and wrinkle serums, the line's comprehensive offerings all showcase cutting-edge skincare science and absolutely hassle-free application, an attractive marriage, to say the least. The need to choose your skincare products wisely becomes more apparent as you begin to age and your skin begins to show signs of aging, including the loss of elasticity and clarity. In a quest for skin products that maximize benefits while reducing the number of products or steps that must be taken to achieve them, Cor Silver Products have designed unique formulas, beginning with their initial soap bar, each of which contain a distinctive blend of active ingredients known to deliver skin-revitalizing capabilities. Relieving many of the signs of aging that visit the skin throughout life, the full line of Cor Silver Products combat a variety of skin issues including wrinkles, loss of moisture, and the loss of elasticity. If you believe that using fewer products can improve your skincare needs, browse through the available selection of Cor Silver Products and see what they have to offer by way of skin-friendly solutions. Capable of reaching deeply into the skin in order to restore its natural vitality through a special blending of active ingredients, Cor Silver Products deliver firming, moisturizing, and wrinkle-reducing capabilities that encourage the health of your skin in a gentle yet effective manner. Offering a mild formula, Cor Silver Soap Full Size is suitable for all skin types ranging from normal to sensitive. More than just a cleansing solution, this one-step formula is designed to remove makeup and grime, clear the skin, even out your skin tone, fade sun spots, replenish collagen, moisturize, and protect against UV damage. Each active ingredient (sericin, silver, chitosan, and collagen) is presented in tiny particulates that can penetrate the skin deeply in order to rejuvenate your skin's natural beauty. A smaller version of its full-size counterpart, Cor Silver Soap Travel Size offers the convenience of being small enough to go with you almost anywhere. Lasting approximately two weeks in the travel size, this mild soap delivers vital nutrients to your skin, enabling it to refresh its natural barrier against damage. Stimulating the skin's revitalization through natural exfoliation, Cor Silver Wrinkle Serum works best when used along with this brand's soap bar. Using only mild ingredients, this product is gentle on the skin. After regular use of this product for several days, this wrinkle-reducing solution visibly and tactilely improves your skin, creating a firmer, lifted appearance. Scarring from too much exposure to the sun is minimized. Your muscles become relaxed, minimizing unnecessary wrinkle-causing contractions. This serum also aids in the production of elastin and collagen, two essential aspects of supple skin.